So you have a website, does that mean you’ll be successful? The ribbon cutting ceremony for a new store is an exciting event, but that doesn’t mean the store is going to stay open. 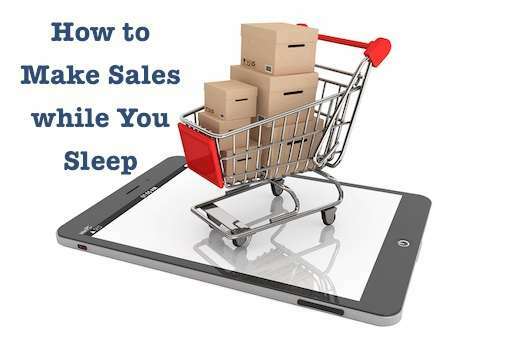 Rather than hope for the best, what steps can you take to earn sales in your sleep? What ongoing maintenance and attention does an ecommerce website require? Most web designers and developers do a good job of creating something that’s aesthetically pleasing. The colors and logo should reflect your overall brand image; your existing customers will recognize that it’s you. Test your site on multiple browsers and devices as it may render differently in different places. The shortest copy of your website is the most important. Make sure the navigation is clear and intuitive. A menu with more than four or five items can be overwhelming. If your checkout or shopping cart is cumbersome, people will leave. You’ll also want to work with a reputable and recognizable name for the checkout process. If people see PayPal or Google checkout (soon changing names to Google Waller), they’re more likely to purchase online. Your site looks great and it’s easy to use, but there’s more to it than that. Does anyone know your address? There are countless websites out there vying for an audience. Those looking to sell something are tough competition, working hard to gain that audience’s attention. To make sure that your site gets found, consider the keywords used to find you. What do people enter into the search bar? Are you asking your customers how they found you? Search engine optimization or SEO should help explain why your product is the best, using the keywords and keyword phrases your audience would use. Remember the importance of links. Links to your site are like “votes of confidence” in the eyes of Google. Ask your vendors, associations you’re a member, and local businesses to link to you. People make online busying decisions based on the aesthetics of your site, the opinions of others, and your site’s rank. (They’re ranked first; must be a reputable company.) Sixty-three percent of customers are more likely to make a purchase from a site which has user reviews (iPerceptions, 2011). Consumer reviews are more trusted (12 times more) than descriptions that come from manufacturers (eMarketer, February 2010). Reviews produce an average 18% uplift in sales (Reevoo). Remember that people have high expectations and seek instant gratification. Deliver fast, then continue to communicate. Do you have an email newsletter? Social media accounts? People today communicate in different ways. Give them the option to communicate with you the way they want to be communicated with. And please link your social accounts back to your website. More tips? Have a success story?